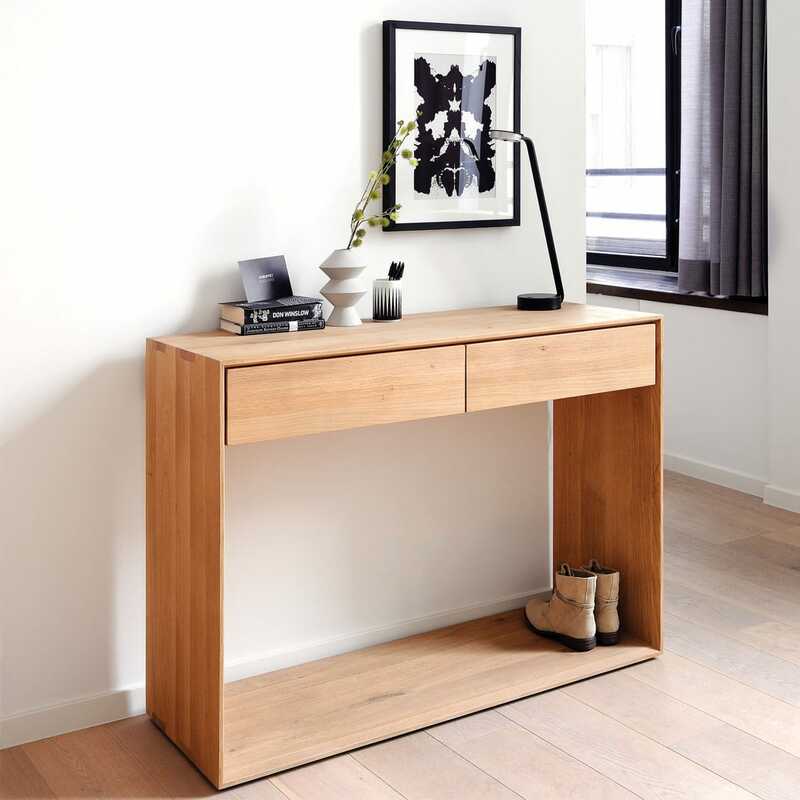 Nordic collection combines refined design with the purity of solid wood. 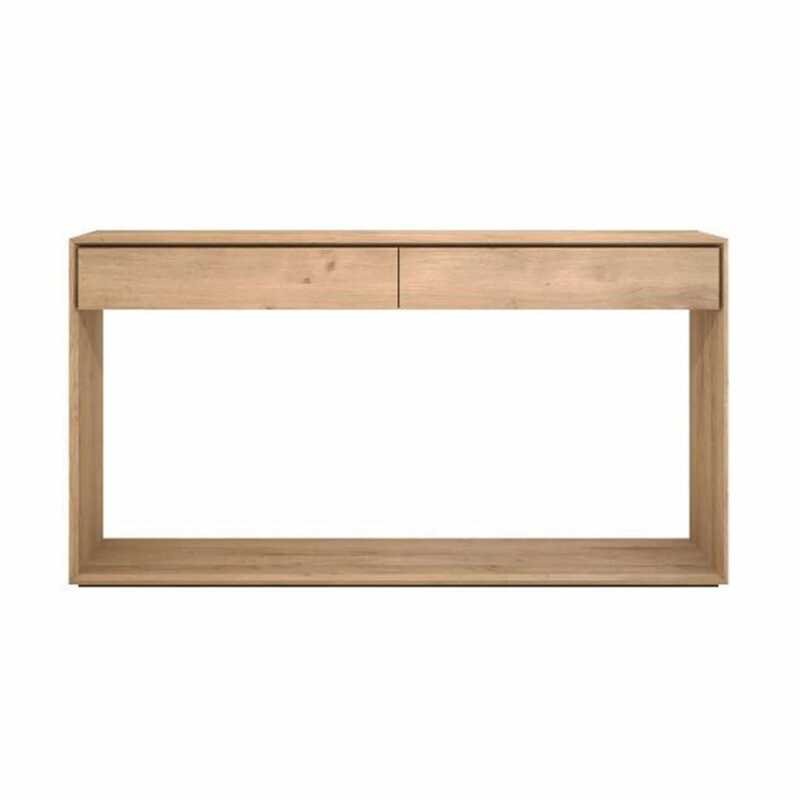 The bevelled edges gives this solid oak furniture an extra edge, we would say. 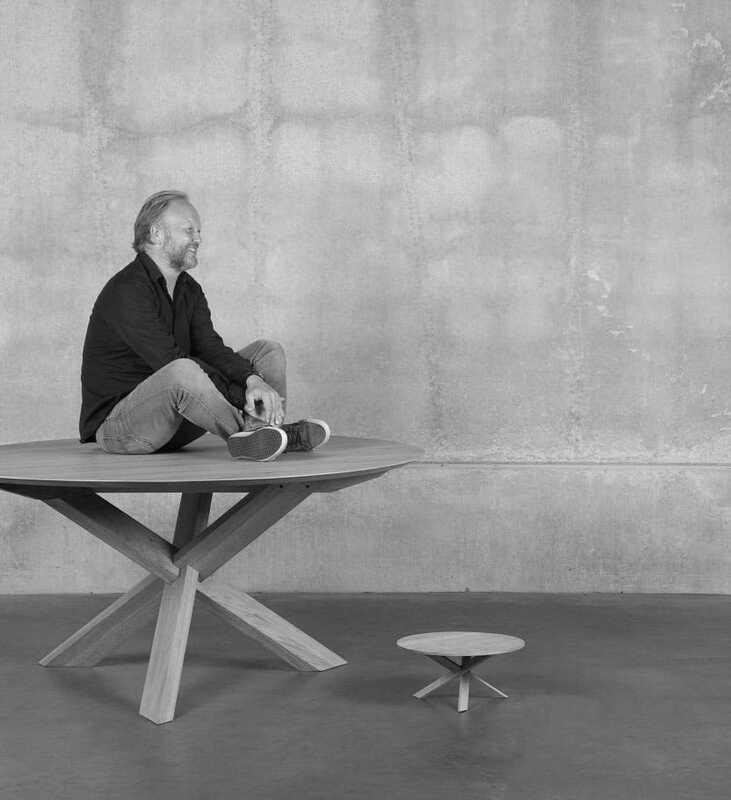 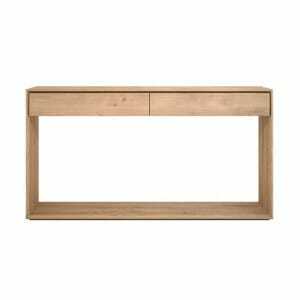 This Nordic console made from solid oak comes in two sizes and is also available in teak and walnut.